Rhaegar is a Determined, Noble, Intelligent, and yet single minded and Melancholic young man. He is also a very private person, he puts on a front for all to see so not many truly know him with the exception of those he considers a friend. It is not often he lets his true emotions show to those is not close to. He loves to read ever since he was young he would amaze his teachers with all he had learned from books. He also has fascinations with prophesies believes that such can and do come true. So much so he believed that he might be part of one. That was what led him to become a talented worrier cause he believed that was what he was fated become. He is also a talented musician on his harp, his music comes from his soul which he creates while in his birth place of Summer Hall where his relatives and many people died. The music he plays form that place has said to make Ladies weep. Rhaegar also has a bit of a Hero complex that it is his fate to be the champion of Westeros and protect it however he can. To do that he needs the love of the people he knows very well this harp playing make ladies swoon. And his Valor and skill with the blade gives him the respect of the Honorable lords of Westeros. It is intentional his princely facade he never lets drop in public. Has a rather large Hero Complex, he believes he is special and it is his fate to be so. He also believes he can see visions of the future in fires set in the ruins of Summer Hall. If they are truly visions or figments of his imagination it is hard to say. Very graceful in general has careful thought into how he moves, both on the battle field and in his everyday life. While fighting his movement is fluid, quick and precise. The fitness of his body adds that much more power and purpose to it. With the exception of the occasional loss in a tournament it is a rarity that he ever slips. Much like his Physical skills, Rhaegar is a smooth as talking and charming others as he is with a sword in combat. He can be commanding he needs to be, but he can be as equally soft spoken as well. He is extremely well mannered and is rarely if ever visibly shaken or surprised by anything when around the public eye. He is exceptional at hiding his emotions from others, around his friends he lets his shield down a little. So they might catch just a glimpse. That he plots to kill his own father to get his thrown. Rhaegar is a proud and confident figure in public, he is kind and very well mannered to all. They all see him as their future great king. When he fights in tournaments he does so with such skill and Valor the crowd cheers for him the loudest when he wins. They cry at the beauty if his music when he plays his silver harp. 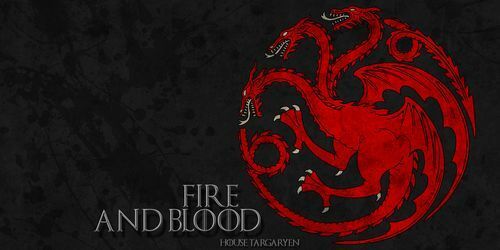 Was born in 259 AC at Summer Hall, He was the eldest son and heir of Aerys II Targaryen and Queen Rhaella Targaryen. He was born as Summer Hall was burned to the ground and his Great-grandparents were killed in the fire. Not long after he was born he was taken to Kingslanding to be raised in the Redkeep. By the time he was 3 his father Aerys had ascended to the throne and become King Aerys the II. When he was 8 his father took him and half his court to Casterly Rock following the death Tytos Lannister, Tywin Lannisters Father. He spent the better part of the year there, as his father and his hand Tywin Lannister rulled the Kingdom from there before moving back to Kingslanding in 268 AC. As Rhaegar grew as did his love of the written word, he loved to read anything could get his hands on. He had little interest in the games and the life of other children so he spent much of his time with his head in a book, even his teachers were amazed by the level of reading the boy did for a boy of his age. One day while reading through his books the Prince came across something, a prophesy of the Prince that was Promised and he believed it to be himself. so he packed up his books and sought out the master of arms and asked that he be given Armor and a Sword so that he could begin training to become a worrier, as he believed it was his fate to be one even if he had no passion for fighting or sword play, he was determined to learn it. As his training progessed in becoming a warrier he met and befriended Ser Arthur Dayne, Sword of the Morning and Kingsguard to King Aerys. Arthur Dayne eventually became his most trusted friend and ally. He greatly valued Arthurs council and he trusted him with his life. He also met Jon Cummington who was a squire as he was. Jon wanted the princes favor greatly and eventually they did become friends. Though it was suspected Jon had feeling for Rhaegar that the prince just couldn't return. Jon loved the prince greatly. By the time he was 17 Rhaegar was Knighted and he was also given a baby brother Viserys. His mother had be pregnant many times however she either miscarried or it was a stillborn. Finally at the birth of Viserys who was Alive and Healthy the hand of the King Tywin Lannister held a Grand Tourney in Lannisport in celebration of his birth. Rhaegar attended and competed in the tournament, besting all his opponents except for Arthur Dayne, who beat him in the joust. While at the feast after the days competions Lord Tywin Lannister attempted to arrange a betrothal between his daughter Cersie and Prince Rhaegar. King Aerys however didn't approve. He insulted Tywin stating that that sort of marriage was beneath his son. Rhaegar thought this odd that his father would so bluntly insult his Hand like that, It wasn't like the thought of he and lady Cersie being betrothed was uncommon.. She was a lady of high birth, she had just as good a claim as any. To be turned down so harshly like that was not called for, he had to wonder what got into his father, His relationship with Tywin seemed to have taken a dive as of late.. he noticed his father not listening to his hand anymore.. even going directly against his advice. A year later Rhaegar began noticing very strange and disturbing behavior from his father towards him. He would burst out in anger at him for no real reason other then the fact he had walked into the room and they were alone. Eventually he learned his father thought that he was trying to take his throne and everything he did was apart of some master plan by Tywin to go against him. Rhaegar declined the accusations of course but that did very little to ease his fathers paranoia. Then the Defiance of Duskendale happened, Lord Duskendale demanded his land be given independance. Tywin Lannister declined the demand with a quick reply however it didn't end there. Lord Duskendale refused to pay the Crowns taxes and went so far as to kidnap King Aerys and locked him up as hostage for over 6 months. Eventually he was released when Barriston Selmey put an end to Duskendales defiance in a battle. However his time being locked up left the King even more unhinged he was convinced that Rhaegar convinced others to over throw him and that it had even been in his plan to have him be killed in the battle that had meant to free him. His fathers behavior only deteriorated from there he would go from hysterical laughter one second, to weeping the next, and to explosive anger after that. Rhaegar didn't even recognise his father anymore as far as he was concerned his father was dead already to see him so consumed by his demons. However duties still needed to be done, some part of Aerys still seemed to remember that or maybe it was all apart of some idea that finding him a wife be to his own advantage. In a attempt to find one he sent Stefan Baratheon across the narrow sea to find Rhaegar a wife of valerian blood. When it was known to the maesters that Aerys sent Stefan instead of Rhaegar himself on this voyage they said spoke volumes about how much trust Aerys put in his Son and his Hand, which was none. There was even rumors of Aerys replacing Tywin with Stefan Baratheon instead. However Stefan Baratheon never returned, his ship sank to the sea and he and his wife died. Aerys was once again convinced that it was Tywin and Rhaegar that sabotaged the ship and caused it to sink even though there was no reason behind such a thought. But then again Madness didn't need reason. 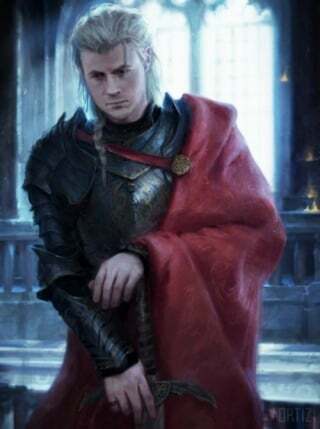 With his father gone mad, Rhaegar tried his best to move forward and do his duties as prince, enduring his fathers outbursts and hoping the kingdom can endure for a while longer. Even though his father was mad.. perhaps because of it it was no longer an unfounded paranoia. As Prince he had to think what was best for the realm and with his father becoming more and more unstable perhaps it was soon time Aerys left the throne. If so he had to do it right, and he had work to do. rays of sunlight stretched across the horizon. The Prince had a peaceful yet solemn look on his face as he rode. He was close to his destination, the Ruins of Summer Hall. His birthplace and the same place that so many died that day he was born including his own great-grandparents. They all died in a great fire that destroyed the castle. For a reason he could not logically explain he felt drawn to the burnt ruins. They brought him peace, though at the expense of making him sad as well. By the time he reached Summer Hall darkness had fallen and the cold breeze made what remained of the castle moan. He dismounted from his horse and ventured in to the Ruins. The moon and the Stars were out shining brightly on the cloudless night. It gave him just enough light to see by. He ventured in to the center of the castle and built a fire. After it was a blaze he sat in front of it and took his harp out. He came here to clear his head often and look into the fire to see what the spirits could tell him. It happened here when he set a fire and played his harp the fire showed him glimpes of what was to come or what might be. What was bothering him as of late was his father Aerys II Targaryen, his paranoia and instability were becoming dangerous, fatally so he feared. So be began to play a tune, a sweet but sad melody that mirrored the pity he felt for his father. "Show me the fate of my Father" he murmered in a soft voice to the flames as he continued to play. The flames started to dance and twist into visions to that of his father he was screaming in a rage being consumed by his madness. Then the flames revealed someone he could not see who was stabbing his father in the back and he fell dead just like that. So that was his Fathers fate to be murdered. He couldn't say he didn't understand. His father had too much power and his madness made him incredibly dangerous he could do whatever he wanted and there was no one who could say other wise without being called a traitor. So the answer seemed simple.. take the power away... take his crown away. But yet let the man live, let someone look after him after whatever it took. Only question was how? "Can I prevent this?" he asked the fire in the same soft tone. The fired morphed for him again and this showed the Heads of the Lords of Westeros united behind him. Before they vanished back into the flames. He needed the support of the nobility and all of them to take crown away from Aerys, of course he needed to call the Grand council. That would be hard and possibly take a lot of time. It was also a great risk, should his father find out about this plan a war could break out. That was the last thing he wanted, but something had to done, he didn't know to the extent but he had a feeling things were going to get worse. Rhaegar continued to play his harp and sing for the spirits that night. Singing of tragic kings and the beautiful sad souls around them.